At a recent event, Marvel Studios president Kevin Feige got a tap on his shoulder. Behind him was Tessa Thompson and several other actresses who’ve appeared in the Marvel Cinematic Universe, and they had a request: their own Avengers movie. 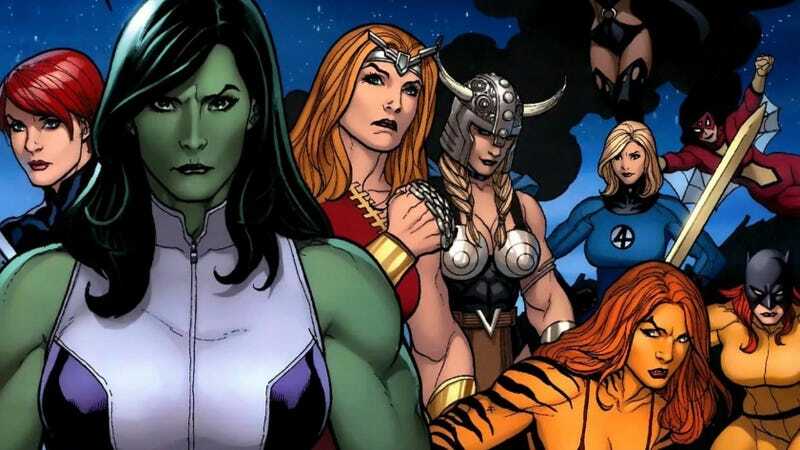 “Recently, I marched up with a couple of other women that work in Marvel and we went to Kevin, ‘What about a movie with some female super heroes? Like all of them?’” Thompson, who plays Valkyrie, said at the press conference for Thor: Ragnarok. The Lady Liberators first appeared in 1970 and were an all-female superhero team quietly put together by the Enchantress that included Wasp, Black Widow, Scarlet Witch, and others. All characters, of course, which are already in the MCU. The conversation stopped there but now that it’s out there, I can’t think of a more exciting MCU film once the fourth Avengers movie premieres in May 2019. And by that point, Captain Marvel will be able to join their ranks, too.